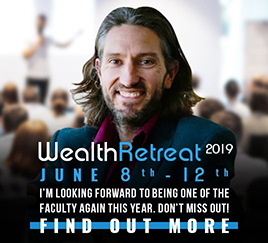 By now you’ve had quite a few emails from me about Wealth Retreat 2016 and the good news for some is that these emails will now stop as we’re holding this annual event at the end of this month. 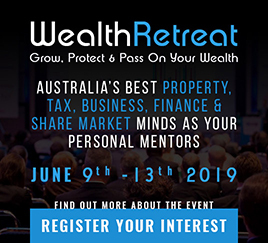 Even better news for the 50 people who join us on the Gold Coast for 5 days will be that they will be learning the shortcuts of building a true property investment business in a unique learning environment with other already successful property investors (this is an advanced workshop) and the best faculty of educators I could put together. Needless to say, my assistant Jo has been inundated with questions from many of you wondering if “Wealth Retreat” event is for you. And with only a limited number of spots left I want to make sure you have all the information you need to make the right decision for you. Q: Is it too late to join you? A: Not yet, but almost. For the 9 years that we’ve held this event we’ve limited the numbers so that there is plenty of interaction and lots of time for one on one consultations with the expert faculty. Currently there are a number of spots left for this year. The event will be held at the Royal Pines Resort on the Gold Coast from Saturday May 28th to Wednesday June 1st . Q: How do I know if Wealth Retreat is for me? You already own a number of properties but either you are stuck, or you just want to step up and take your investing to the next level and want to build a true property investment business. You own a business, a share portfolio or you are an entrepreneur. You own a property portfolio and are now ready to learn a new set of skills because you want to transition to the next stage and start living off your portfolio. You feel isolated in your investing – you don’t have a peer group of other successful, motivated investors to share experiences with. You are looking for information about advanced property, tax, finance business, share trading and asset protection structures and estate planning taught by qualified professionals. 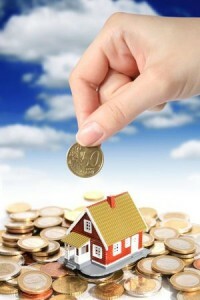 Finance seems to be an issue, holding the growth of you property portfolio back. You’ve read the books and been to the seminars. You’re beyond that now and need advanced information, knowledge and skills – the type of information that’s not in the books or on the Internet. You want direct access to my inner circle mastermind team of property, finance, tax, property development and legal experts. 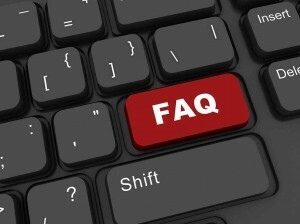 Q: Will I get a return on the investment I make in this workshop? A: This simple answer is everyone who’s been over the past 9 years has thought so and a large percentage return a second and third time. I interview all attendees to make sure they are in the position to benefit form the information they will learn. 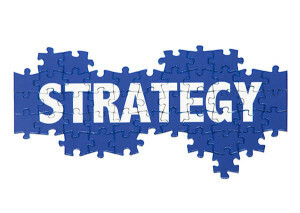 Everyone leaves with a plan, a strategy to build their property investment business plus a toolbox full of new tools. Then after Wealth Retreat I personally hold a one on one “implementation session” with every attendee to help them implement their plan. This plus the notes and resources manual means every attendee gets exceptional value for money. I’m sure you realize that the faculty are not theorists. Their combined years of property investing, developing, share trading, growing businesses, tax, finance and legal experience. And they will also be available to answer your individual questions, in one on one sessions… and they normally charge anywhere up to $1,00 per hour. You also get the opportunity to network with like-minded investors and property developers. In the past some amazing joint ventures have been formed. Think about it…just one idea you pick up could save or make you tens of thousands of dollars in your property investing. The actual value of Wealth is many times greater than the dollar value we place on it. Plus you spend 5 fully catered days in a luxurious resort on the Gold Coast, with entertainment at night and a few surprises. This gives you plenty of time to meet and network with the speakers and other guests. 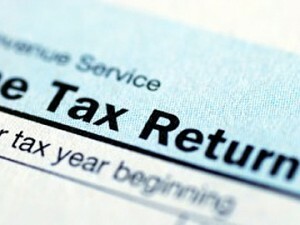 Q: Can I get a tax deduction for coming? A: For some past attendees joining us at Wealth Retreat was a business expense, but you should check with your tax advisor about your specific situation. When you think about the return on investment for coming to this event combined with how you can write it off your taxes, you can really see how cost-effective and smart the decision to attend is. Are you ready to join me and 50 select attendees to learn our exact formula to build, structure and protect a profitable property investment business to give you financial freedom? Remember, I’m only opening this up to 50 select attendees, and once those last seats are gone, they’re gone. Why not join us at Wealth Retreat 2016? 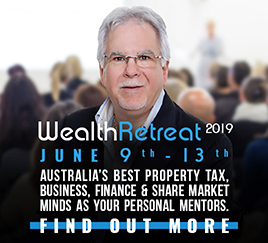 If you are already a successful property investor, share investor or trader or entrepreneur but want to take it to the next level, we will welcome you to our Wealth Retreat for five days on May 28th to June 1st 2016. You can find out more and register your interest by clicking here. If you are interested in joining us, please ring my assistant Jo Fitt on 03 9591 8888 or email her at [email protected] to secure your place quickly and have a qualification interview with me. Shouldn’t the next success story be you? PS – Remember, this unique event is limited to 50 dedicated, committed people. If you know you are ready to take a major step forward in your life, then ring my assistant Jo Fitt on 03 9591 8888 or email her at [email protected] to secure your place quickly and have a qualification interview with me.